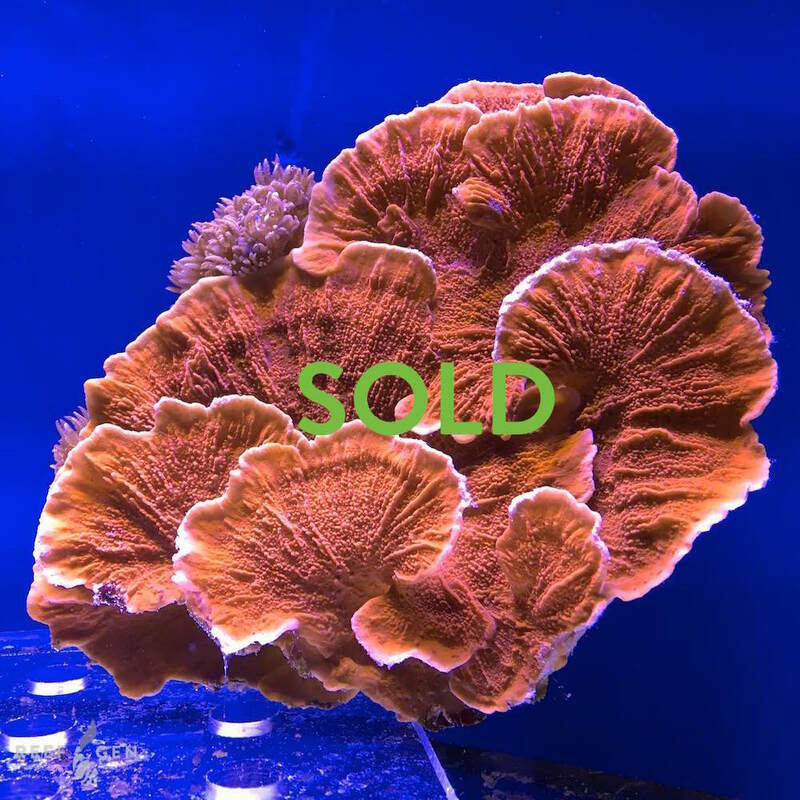 Joe’s reef is well known for its giant beautiful red Moni caps, but this monti is a whole new level of art. Lovingly grown in troughs above Joe’s reef, it has grown into a striking rosette pattern. The attached xenia is an approved, but optional hitchiker, at the buyer's desire.